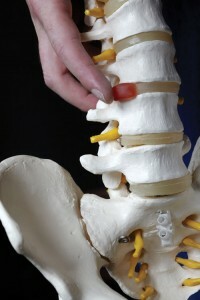 To receive and hold a good adjustment, your spine must be at rest before and during the adjustment. Before every adjustment, we advise that you lie on the adjusting table face down with your arms hanging to the floor to rest your spinal muscles and fan out the vertebrae so they may be adjusted easily. (If in your case there is a more suitable resting position, we will advise you). During your adjustment, your spine and skeleton should be in a resting, neutral position. Do not cross or bend your legs during the adjustment, unless your doctor specifically asks you to do so. After your adjustment, you should get up from the adjusting table by rising up from your side. Do not do a “sit up” or “straddle” the bench, as these movements can destabilise the joints of the pelvis. (Note: getting up from your side is the healthiest and safest way to rise from any horizontal position). Do not rub, probe or poke the areas your doctor adjusted. Soreness may occur after an adjustment, particularly if the vertebra was significantly subluxated (out of place) prior to being adjusted. If you do have any discomfort, we suggest that you apply ice on the area, no longer than 20 minutes, once every two hours for twenty minutes. (In fact, this is the general recommendation when applying ice for any inflammation). Do not use heat! If you continue to experience discomfort the next day, contact our office to schedule a follow-up adjustment with the doctor, as a fine-tuning adjustment may be necessary. Important note to new patients: Awkward and uncomfortable symptoms can be expected in the first two to six weeks of care, particularly in the case of patients who have never been adjusted, or suffer from chronic conditions. Avoid bending at the waist or “stooping” sharply to pick up objects, big or small. Instead, keep your spine straight, bend your knees and let your legs bear the strain. Hold the object as close to your body as possible. A healthier spine will improve your body’s ability to adapt to its environment. Therefore, listen to your body. Truthfully, there is no “one right way” to stand, sit, walk or sleep. A well-adjusted spine will empower your nervous system to be well “connected” so you may better trust your body’s own clues.